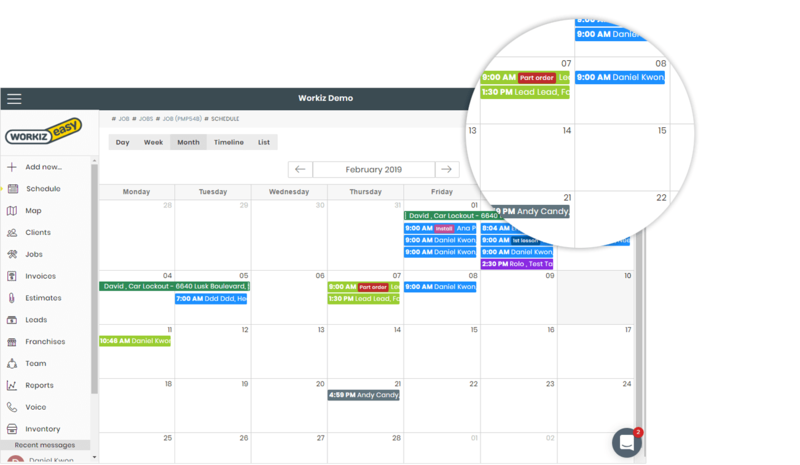 Workiz’s, easy-to-use, drag-and-drop calendar lets you make simple changes without leaving the schedule page. You can rearrange your week in seconds and even drag unassigned jobs to a free field tech. 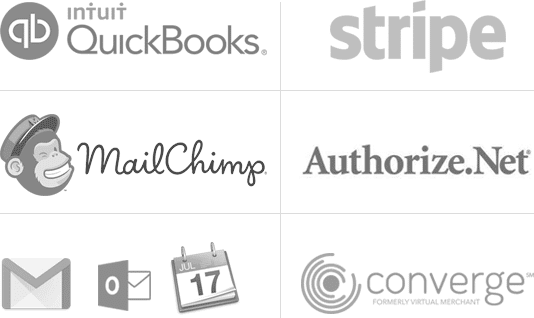 You can view your schedule by month, week, day or employee, and plan ahead in seconds. Need to reschedule? It’s easy! Just drag your job to another time slot and you’re good to go. You can even jump to the timeline view and organize jobs by available techs. Save time for your dispatchers and money for your business. 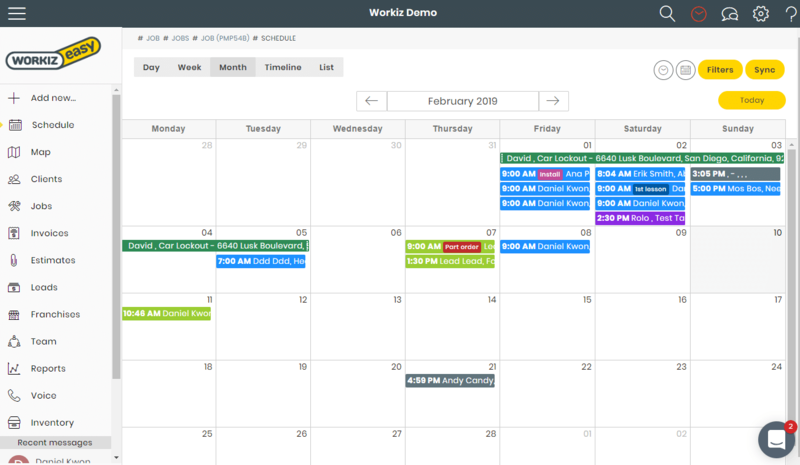 You can color code jobs on your schedule, for easier sorting and dispatching of jobs. Color coding is available for techs or metro areas. Need to manage a bigger operation? 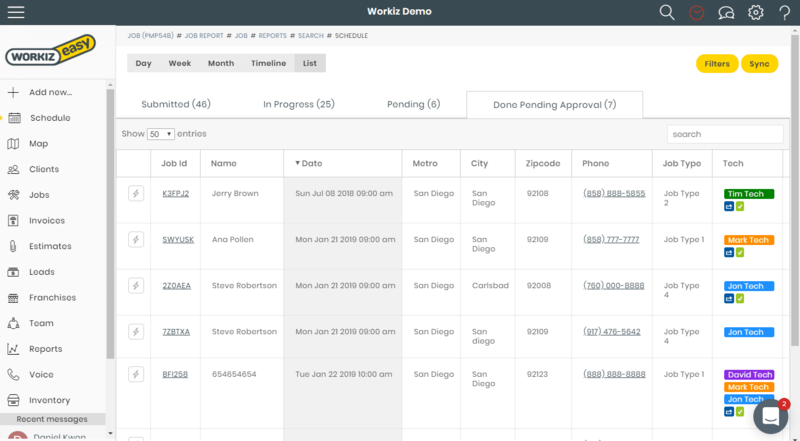 The list view provides an overview of your jobs with more information and sorting options. 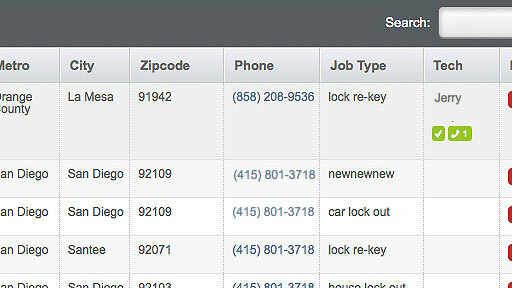 You can view crucial information and filter jobs by tags and sub-statuses. The green icon even lets you know that tech have confirmed the jobs via SMS, so you know where things stand. Clients need to be reassured that someone is en route and help is on the way. Using Workiz’s unique phone masking, you can actually see who called the client, to let them know they’re on their way to the job.